Browse websites for Florida drivers and you’ll see that seniors are respected but held accountable while remaining behind the wheel. Vision tests and the possibility of restricted licenses are systemic realities for elderly motorists who want to keep driving into their 80’s. Multiple online resources can help seniors and their families navigate driving laws and address the thorny question of when it’s time to give up the keys. … all drivers who are 80 years of age or older and who are in the process of renewing their driver license are required to pass a vision test. The test may be taken at a Florida driver license office at no additional charge. Should you elect to have your vision tested at a driver license office, please schedule an appointment so that we can serve you more efficiently. Your other option is to have a doctor licensed to practice in Florida administer the vision test. He or she must be a medical doctor, osteopathic physician, or an optometrist. If the vision test is administered by your doctor, a Mature Driver Vision Test Form (HSMV 72119) must be completed and submitted to the department. Customers who are 79 years of age and under will be issued an eight year license. Customers 80 and older will be issued a six year license. A confidential reporting form was designed for use by the general public for the purpose of reporting medically impaired drivers who may pose a threat to public safety. 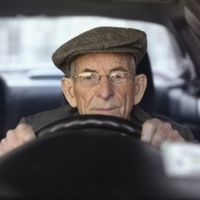 Just go to http://flhsmv.gov/FloridaGrandDriver/facts.html for a full list of facts and resources for senior drivers. Florida’s Senior Safety Resource Center is another online resource for seniors. It’s designed to connect the elderly with medical and non-medical transportation so they can remain independent after they stop driving. The website also offers a self assessment test and advice on dealing with concerns about a loved one’s driving. The website is maintained by the University of Florida, the state Department of Occupational Therapy and funded by Florida Department of Transportation.